ERBIL, Iraq (Reuters) - A Sunni Arab parliamentary bloc has pulled out of talks on forming Iraq’s next government, its leader said on Wednesday, underscoring the difficulties faced by Prime Minister-designate Adel Abdul Mahdi as he seeks consensus over his cabinet. The decision by the Qarar (Decision) Alliance could prolong uncertainty in Iraq, which is still in the process of forming a government five months since a parliamentary election. Party leader Osama al-Nujaifi, a former parliament speaker, told local media his bloc — which won 14 seats in May’s election — had abandoned the talks because ministries had been awarded to only “one bloc” representing the sect. He was apparently referring to the other main Sunni parliamentary bloc, led by current speaker, Mohammed al-Halbousi. Ever since a U.S.-led invasion toppled Saddam Hussein in 2003, power in Iraq has been shared by the three largest ethnic-sectarian groups: Shi’ite Arabs, Sunni Arabs, and Kurds. Abdul Mahdi, a Shi’ite, was tasked on Oct. 2 by President Barham Salih, a Kurd, with forming the new government. According to Iraq’s constitution, he has 30 days to assemble a cabinet before Salih has to name someone else. 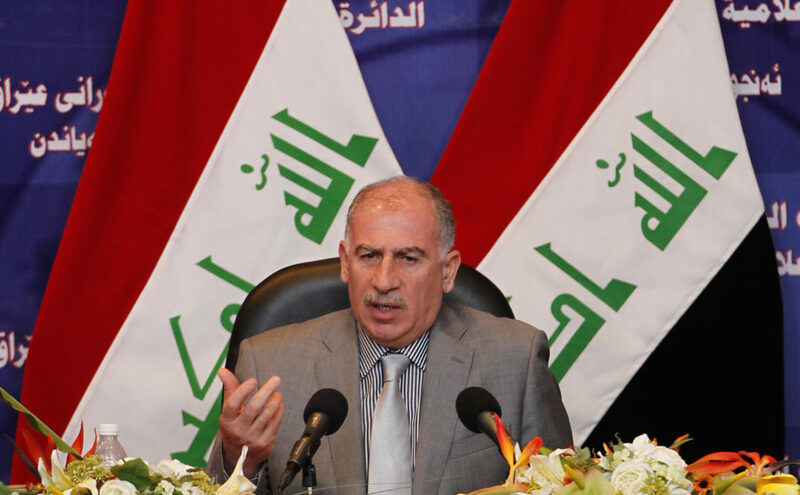 An independent who did not run in the May election himself, Abdul Mahdi was chosen as a compromise candidate by the two largest parliamentary blocs. He is scheduled to present a list of ministers to parliament for approval later on Wednesday, but lawmakers told Reuters he was struggling to please all sides and that the process might face further delays.